Thursday, July 20, 6–8 p.m.
Our Third Thursday speaker series continues this summer at the Detroit Historical Museum. concerns are emotional truths and lived experience. In this program, author Susan Messer will discuss and read from her novel Grand River and Joy (University of Michigan Press, 2009). Named after the notable intersection in Detroit, the story explores the intersections between races, classes and neighborhoods that, among many other factors, drove the city to the boiling point in 1967. 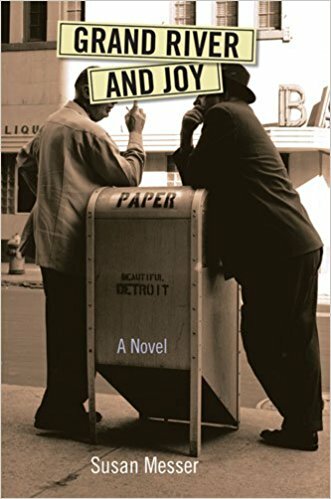 This novel follows the Jewish wholesale shoe man Harry Levine from his business, located on Grand River near Joy Road, to his northwest-side home, where those who have the means debate whether to commit to their city or join the exodus to the suburbs. And those who don’t have the means—in this case, Curtis and Alvin, the black father and teenaged son who live upstairs from Harry’s business—feel the front-line consequences. Attendance is free, but pre-registration is encouraged. To register for a presentation, please contact Charnae Sanders, Public Programs Coordinator, at 313.833.0277 or charnaes@detroithistorical.org.